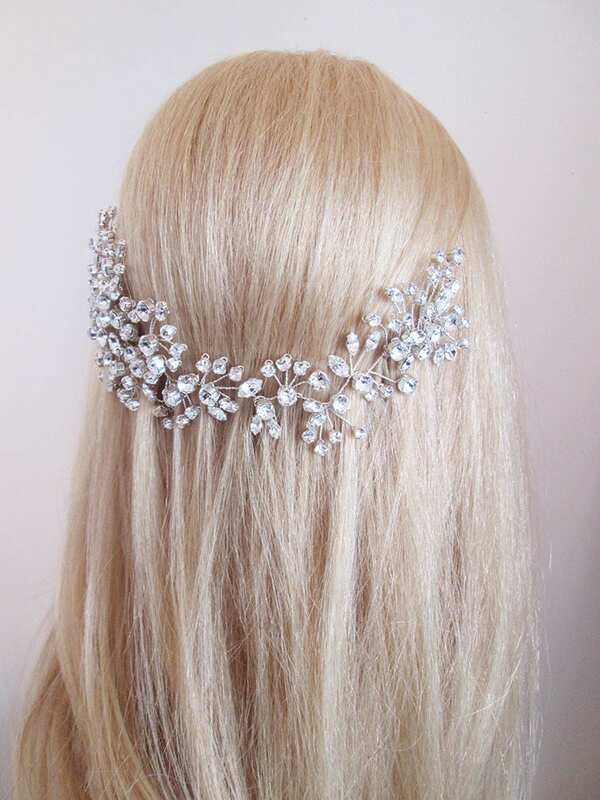 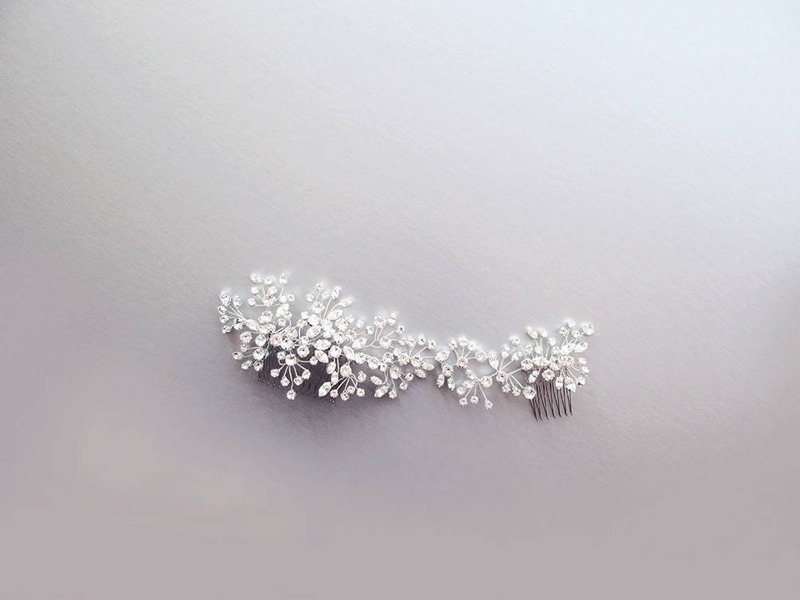 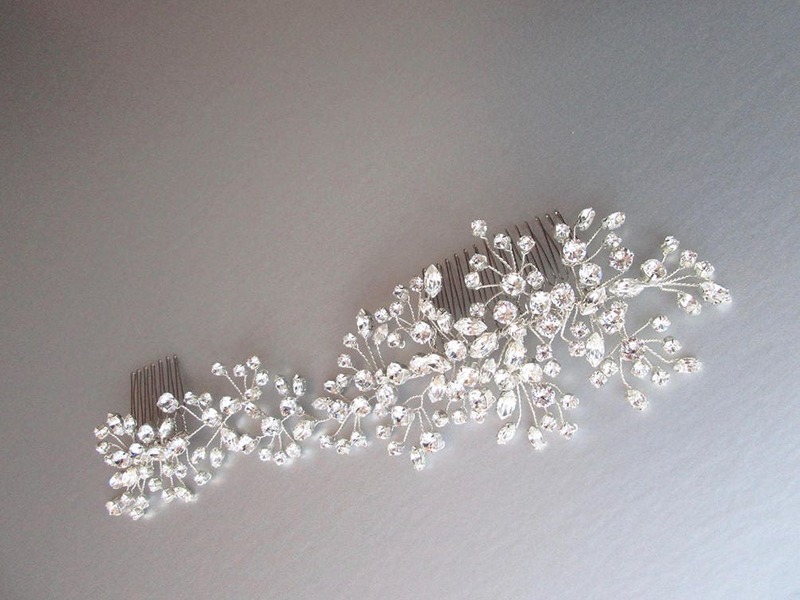 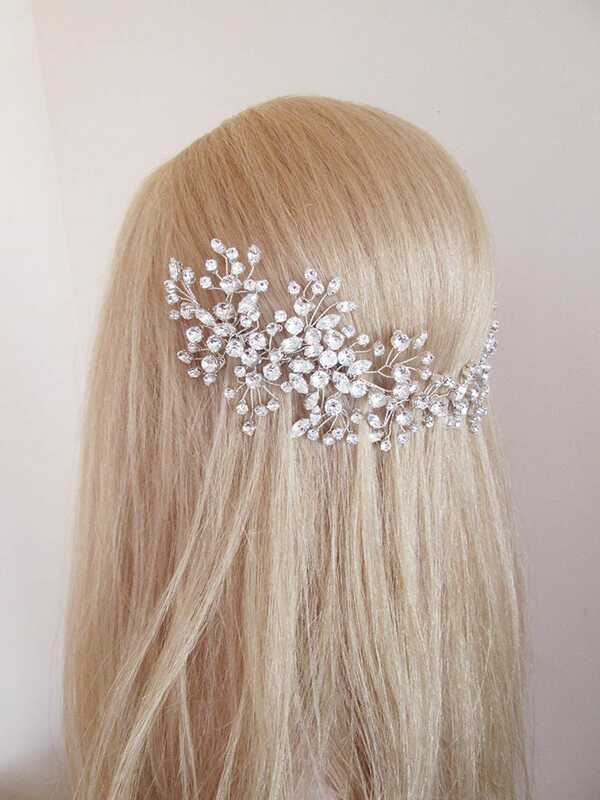 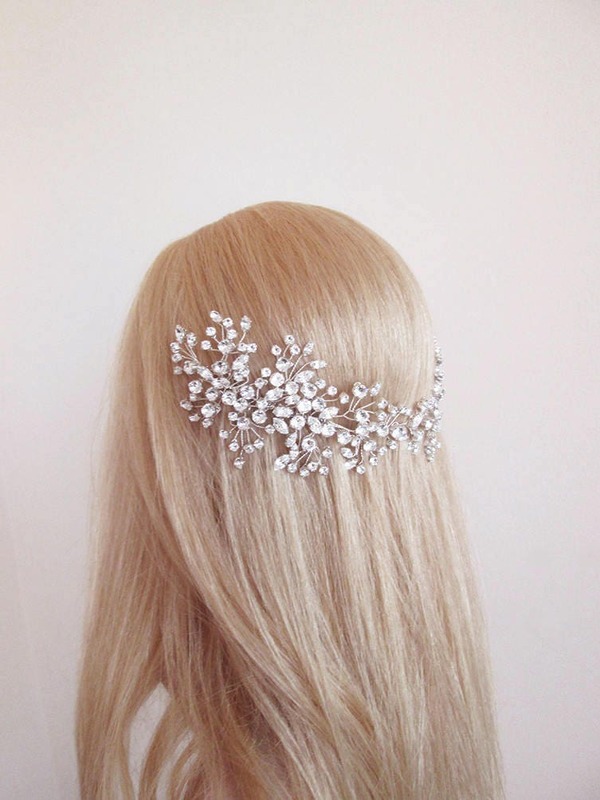 This intricately made hair vine can be used with a variety of hair styles. 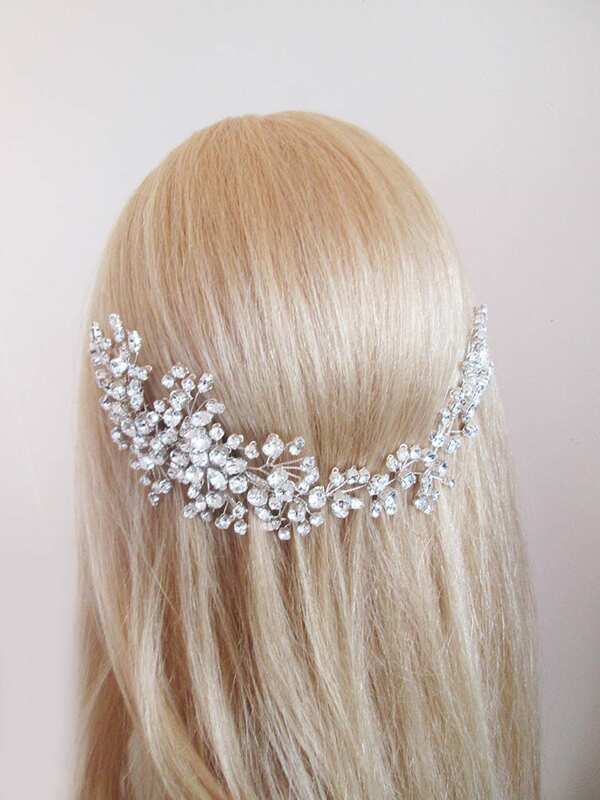 Made with Swarovski crystals set in fancy settings. 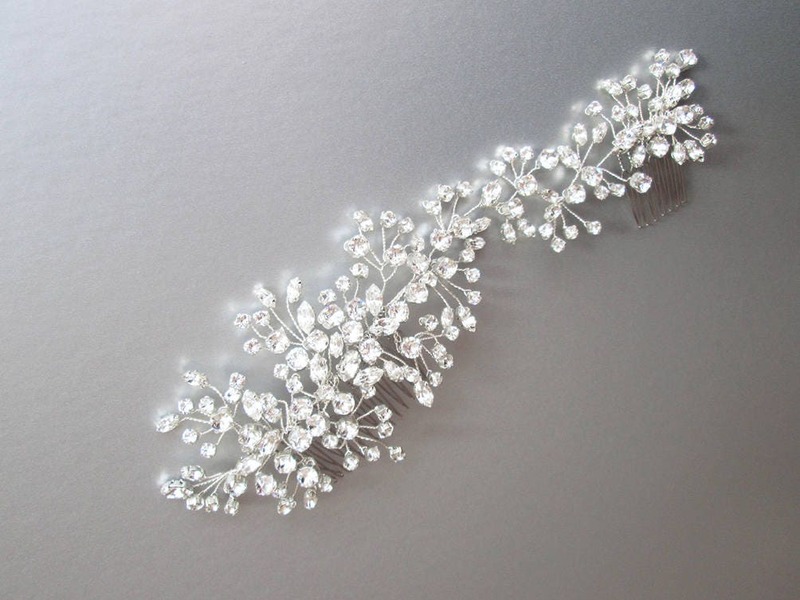 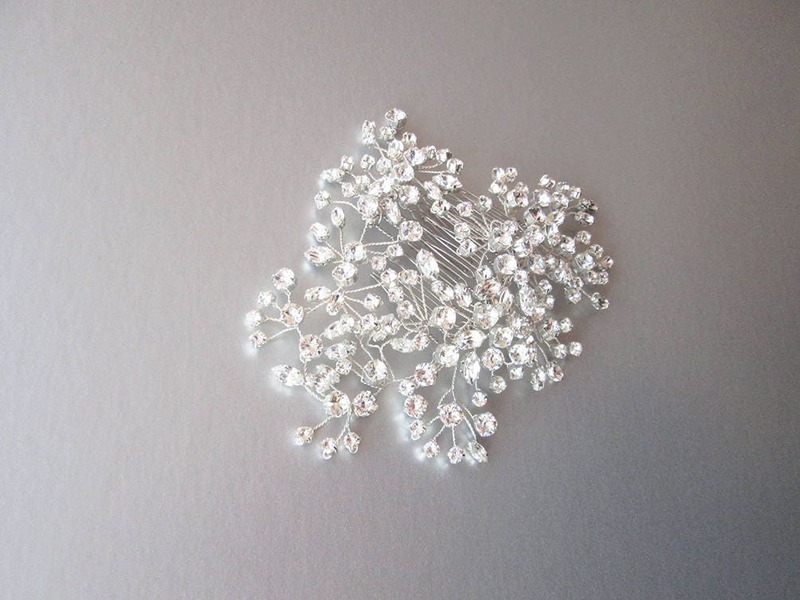 Very sparkly, flexible and easy to use. 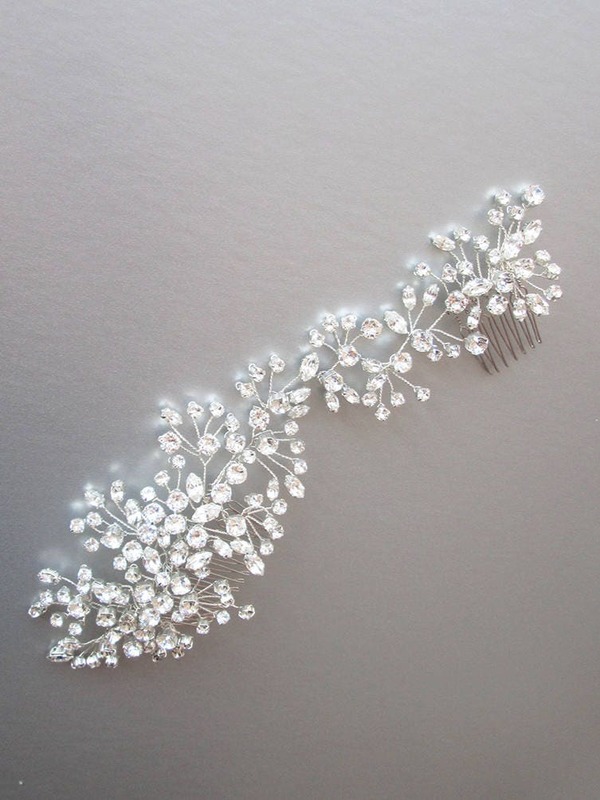 This hair vine measures about 9" long and about 2 1/2" wide at the widest point. 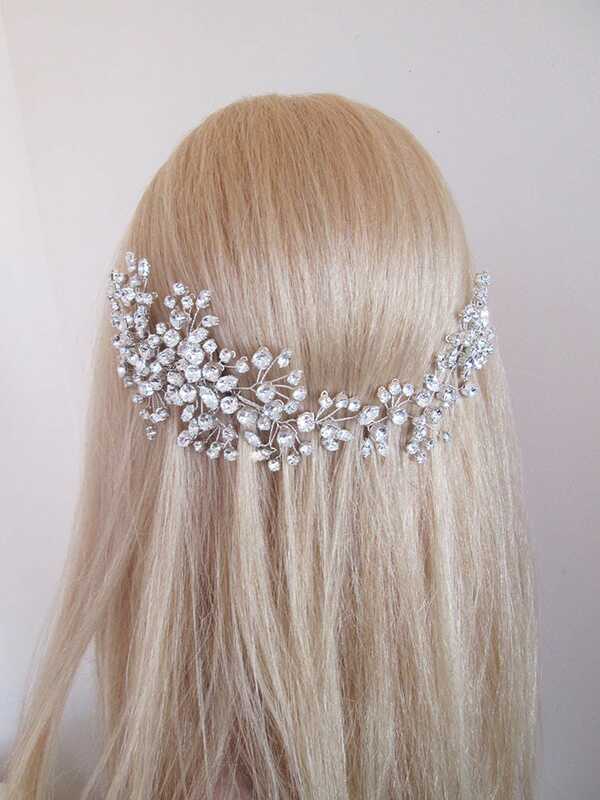 Available in gold, rose gold or silver finish.